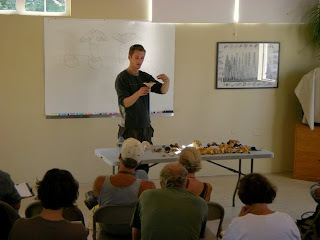 The September 26 wild mushroom identification class went beautifully! 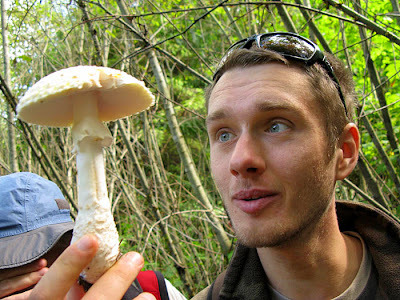 Over 20 people from the public came to join us to learn, seek out and celebrate wild mushrooms. The weather was most helpful, with plentiful rain coming down in the earlier part of the week. Just to the liking of many mushrooms. On the day of class we were blessed with sunshine. As you can see from the expressions in this photo, the students at the class were very intent on the cooking process. 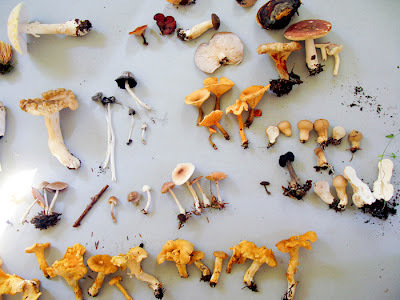 We ended the day with a wild mushroom feast that gave everyone an opportunity to taste their catch of the day. The Wilderness Certification Program students learned about stone tool making. 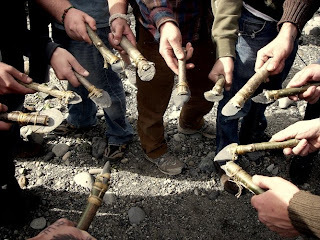 This photo shows a few of the hand-crafted stone knives they created. 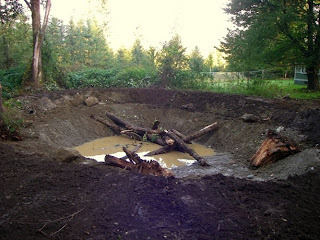 Two ponds have been created as part of Alderleaf Farm's Permaculture Plan. The ponds will create a greater diversity of habitats on the farm, attract more wildlife, solve winter flooding problems, store water for garden use, and provide the opportunity to raise fish! The pond is just starting to fill with water now that the rains have returned. 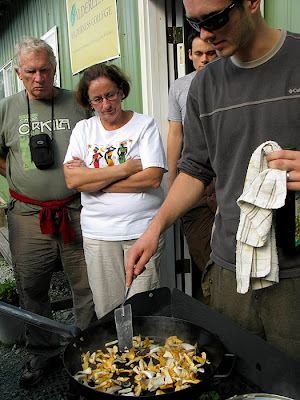 Alderleaf instructor Filip Tkaczyk, taught several wild mushroom foraging classes in September and October. They were a ton of fun - many tasty treats were discovered in the forest. 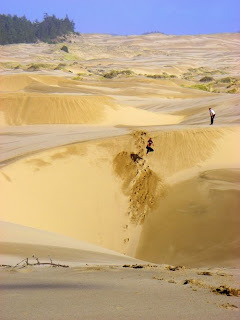 The Wilderness Certification Program just returned from their annual field trip to the Oregon Dunes. We had some inclement weather this year, though the coyote, fox, and raccoon trailing was amazing on our final full day in the field. Other highlights - harvesting 40 cups of evergreen huckleberries, and of course, jumping off the huge dunes!